These shotgun-styled chaps are carefully constructed by our skilled craftspeople from quality brown split leather. Full length zippers offer added protection. A buckle closure in the back and a tie closure in the front keep these chaps in place. 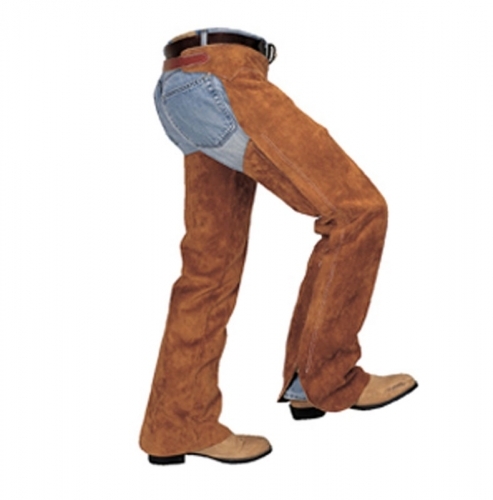 These durable chaps will offer you dependable performance.